Launching an exhibition exploring women's suffrage in Wealden are, from the left, Avril Davis, Nicola Stewart, Pam Doodes, Maria Kirk, Liz Penton, Nus Ghani and Tracy Tucker. 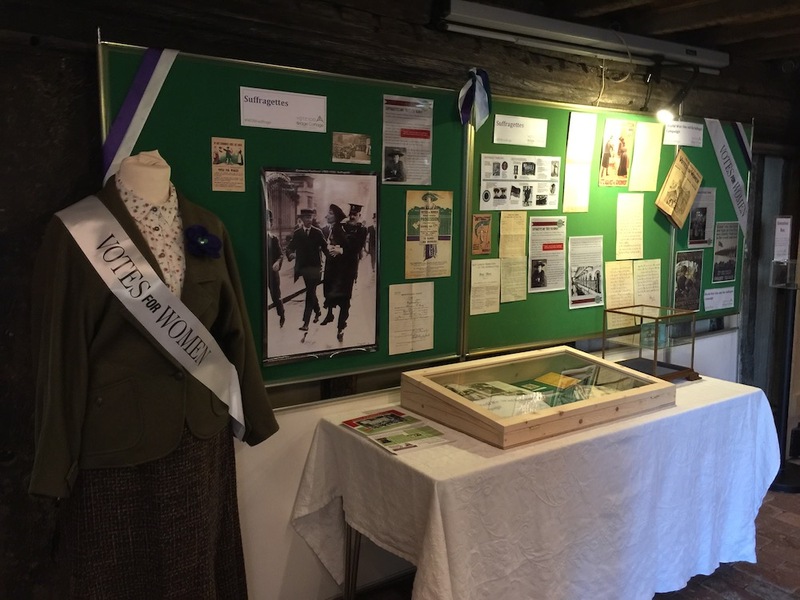 Banner waving Suffragettes were in Uckfield yesterday to draw attention to an exhibition at Bridge Cottage which celebrates 100 years since some women first got the vote. 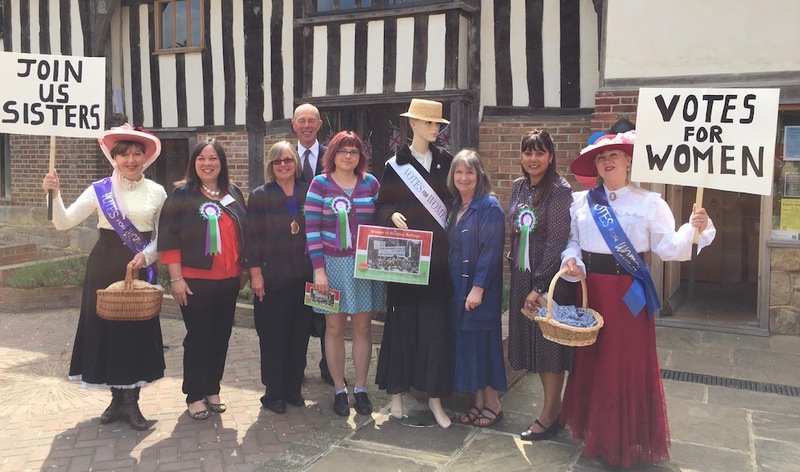 Playing the part in the costume of the day were Avril Davis and Tracy Tucker, aka The Daisy Belles, and supporting the cause were Wealden’s first female MP Nus Ghani; vice-chair of Wealden District Council Pam Doodes, and Bridge Cottage chairman Mick Harker, writes Cathy Watson. Also joining a photo call were Bridge Cottage Heritage Centre manager Liz Penton, and education officers Nicola Stewart and Maria Kirk. 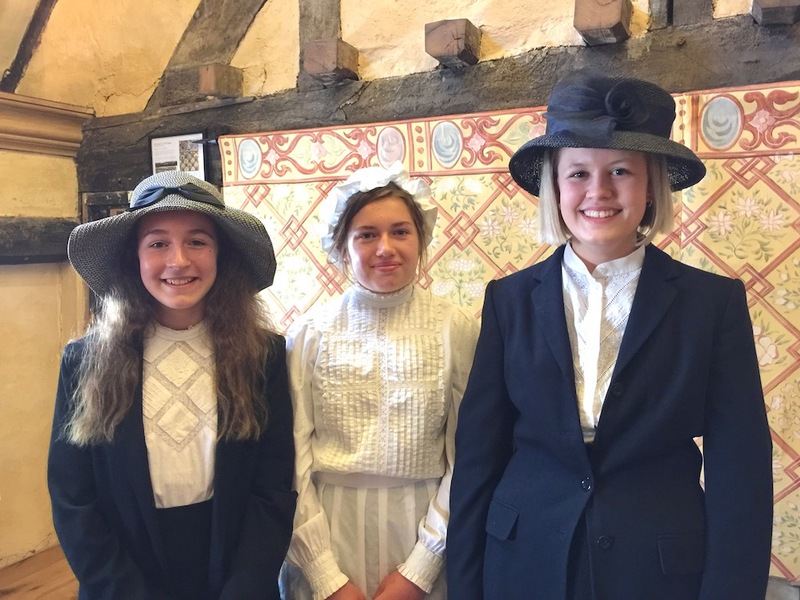 Inside Bridge Cottage there was support too from Uckfield Community Technology College students Marvella Horthy, 15, Eleanor Mumford, 15, and Jasmine Bolton, 14, who were rehearsing for a play, Miss Appleyard’s Awakening, which will be performed at the cottage on Saturday night. Uckfield Community Technology College students Marvella Horthy, Eleanor Mumford, and Jasmine Bolton, who will be in a play at Bridge Cottage on Saturday night. Interestingly there is little, if any, mention in the exhibition of any Uckfield women at all being involved in either the peaceful Suffragist, or militant Suffragette campaigns. Stories are told of women from nearby Crowborough, Rotherfield, and Danehill, who did take action. Bridge Cottage education officer Nicola Stewart who has coordinated the exhibition said the view of those at the heritage centre was that this area was very much a farming and rural community and not very progressive. She said those who became involved were the more fortunate ones, with time on their hands, and wealthy. 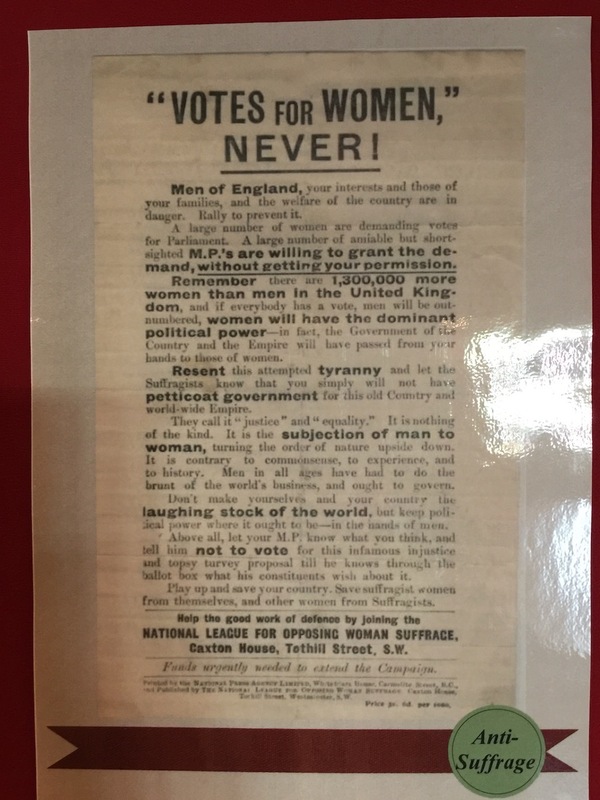 One of the displays at the Bridge Cottage exhibition marking 100 years since some women got the vote. “Men of England, your interests and those of your families, and the welfare of the country are in danger. Rally to prevent it. “A large number of women are demanding votes for Parliament. 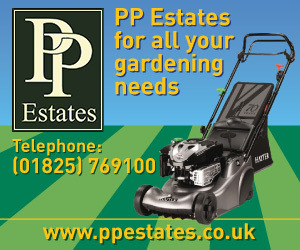 A large number of amiable but short-sighted MPs are willing to grant the demand without getting your permission. “Remember there are 1,300,000 more women than men in the United Kingdom, and if everybody has a vote, men will be out-numbered, women will have the dominant political power – in fact, the Government of the Country and the Empire will have passed from your hands to those of women. “Resent this attempted tyranny and let the Suffragists know that you simply will not have petticoat government for this old Country and world-wide Empire. “They call it ‘justice’ and equality’. It is nothing of the kind. It is the subjection of man to woman, turning the order of nature upside down. It is contrary to commonsense, to experience, and to history. Men in all ages have had to do the brunt of the world’s business, and ought to govern. “Don’t make yourselves and your country the laughing stock of the world, but keep political power where it ought to be – in the hands of men. “Above all, let your MP know what you think, and tell him not to vote for this infamous injustice and topsy turvey proposal till he knows through the ballot box what his constituents wish about it. She remembers watching Betty Boothroyd, the first female Speaker of the House of Commons, and Margaret Thatcher, the first female Prime Minister, on TV and thinking what incredibly brave and confident women they were. Nus said the correspondence suffragists and suffragettes received was very similar to that she still received today, asking things such as who was taking care of her family. Kathleen Morris, an early visitor to the Bridge Cottage exhibition who said knowledge of the history of suffrage led her to insist that her own children and grandchildren registered to vote. 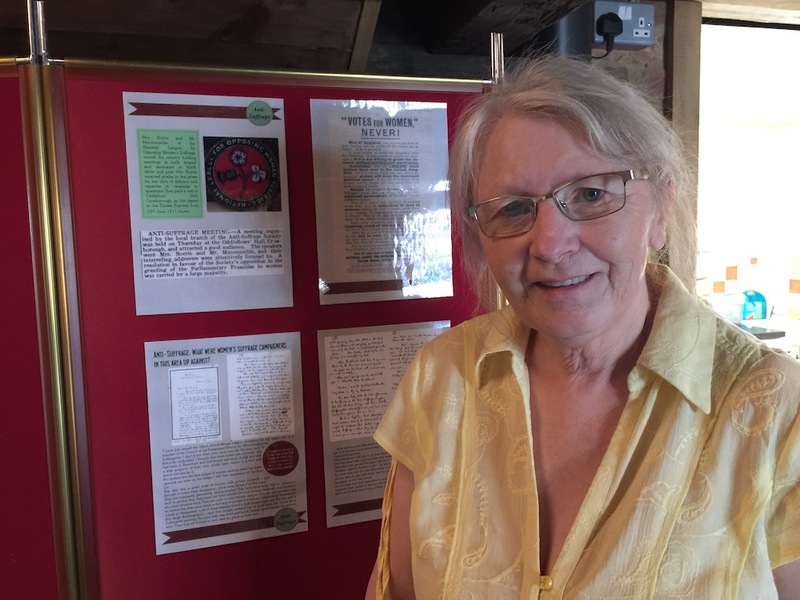 An early visitor to the exhibition, which continues until Saturday, June 2, was 64-year-old Kathleen Morris who said that she became very aware of the Suffragists and Suffragettes when at school. “That really resonated with me. Women hadn’t had the vote all that long and I delved into it more. 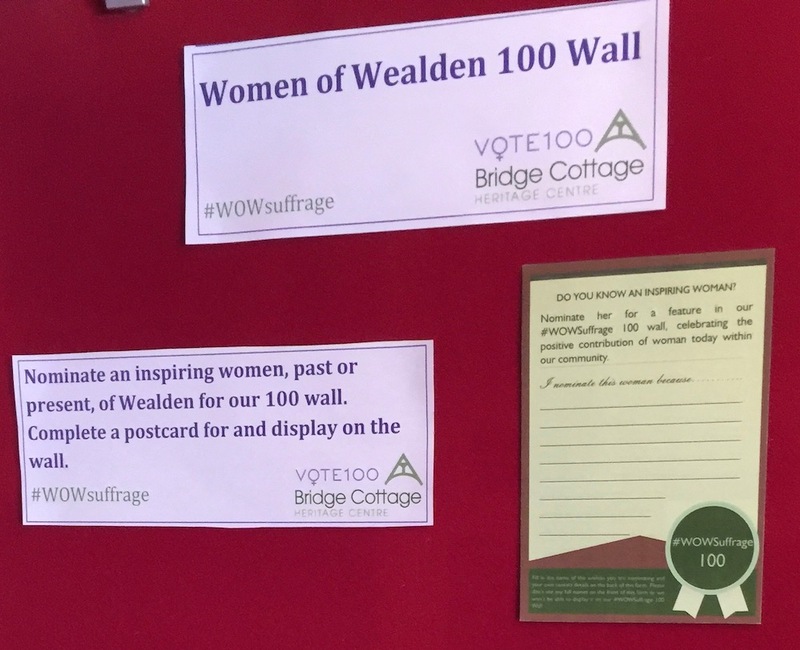 While you are there look out for a board where visitors are encouraged to nominate an inspiring woman of Wealden to be added to a 100 wall. Those nominated will be brought together at a special event later this year. Nicola Stewart said part of the exhibition at Bridge Cottage covers Girl Guiding in Uckfield and she had been told about one woman volunteer who had been involved with the organisation nearly all her life and ran camps. She would be an ideal candidate for nomination along with others who gave back to the community. Nicola said that people might know stories about inspirational women in their own families and those women could be nominated too. 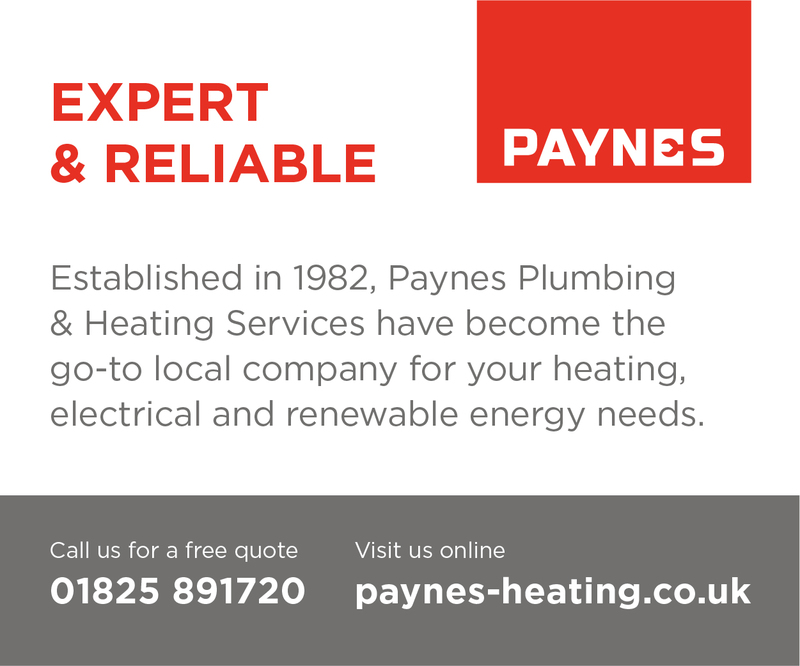 Do you know an inspiring woman? Add her name to the 100 wall at Bridge Cottage.